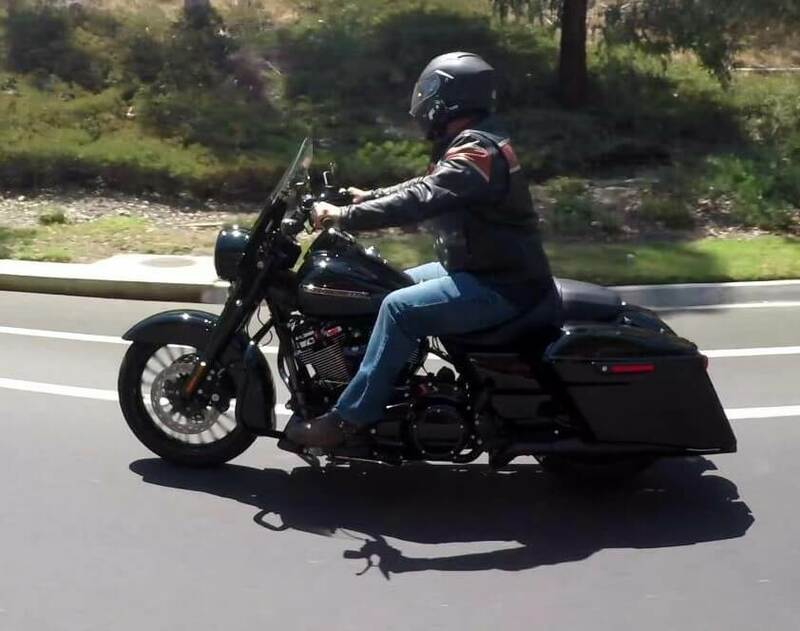 I went to Biggs Harley Davidson in San Marcos, Ca. to pick up the 2018 Harley Davidson Road King Special for Ryan Hurst (Opie from Sons Of Anarchy), who’s riding with us in the next video. Since I was picking it up anyway I thought I might as well review the bike for Motorcycle Monkey. I own a 2000 Road King Classic so I wanted to see the difference in a new one that has today’s technology as compared to mine that’s now 18 years old. I still love my bike but I have to say that the new Road King is pretty awesome. It’s got quite a bit more thrust and it’s definitely refined in the way that it rides. My 2000 is still great for distance but with later technology comes many improvements. It’s got less vibration at higher speeds and let’s face it, it’s a bitchen looking motorcycle. Yes I said bitchen! I love the mini ape handle bars that allow me to sit up straight, the power and the throttle response along with the blacked out theme and the stretched bags that provide plenty of space to store things and they look awesome. If you don’t want the full fairing and the option to remove the windshield this is probably the answer you’re looking for. There are lot’s of reasons to love this motorcycle.